KIT OPS: How it came to be. Hi! My name is Chipp Walters, and while I’m fairly new to the Blender community, I've been involved in 3D for many years. As an Industrial Designer, I've done concept designs for NASA and the HYPERLOOP. 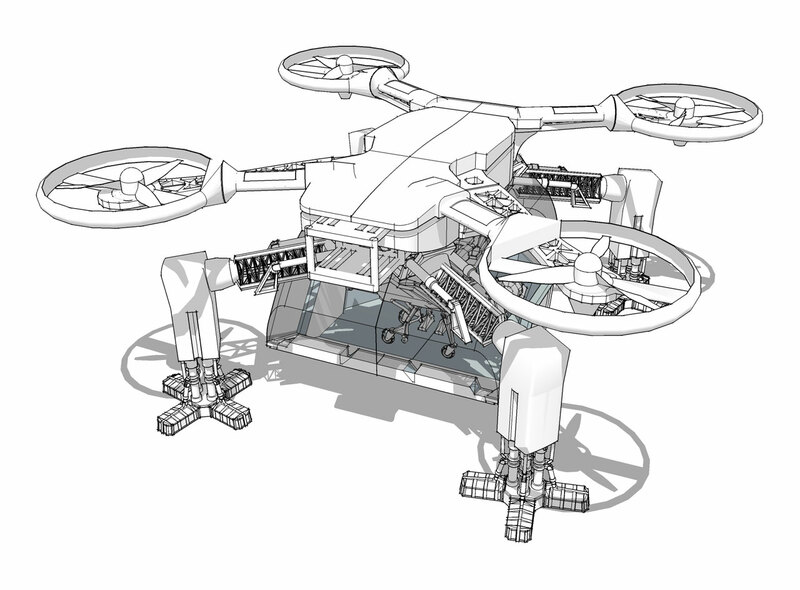 I've completed a whole series of future designs for FastCo Design including a Drone Ambulance as well as wearable tech. And recently, I led a very talented team to create a best-in-class historical Augmented Reality product for museums and education. My tools of choice up to now have been SketchUp and Lightwave for poly modeling, 3D Coat for topology and MoI3D for NURBS solid modeling. You can check out my YouTube channel if you'd like to learn more. A couple of years ago, I ran across a very interesting tool, called Hard Ops by masterxeon1001. Up until that time, most all Boolean modeling was done in solid modelers, like Fusion 360, Onshape and MoI3D. His designs and workflows were impressive, and not something I'd ever seen in polygon modelers. So, I got on the phone and called one of my buddies, Rob Baldwin, who works in Hollywood doing FX there. I asked him, "Have you seen this Hard Ops product?" Rob said, "Yep, it's a pretty fantastic workflow tool. And the guy who started it is right there in your backyard." He gave me masterxeon1001's contact info and we met. A friendship started and we ended up working together on some really interesting projects. Along the way, he convinced me to give Blender a try, and I haven't looked back! Blender is a great program and it appears to also have a super community! After a bit, I recognized a fairly large missing part in Blender. Something I used both in other poly and NURBS modelers– namely a robust INSERT tool for Kitbashing to create concepts quickly. Let me explain. As an Industrial and Concept Designer, I often need to generate ideas really quick. 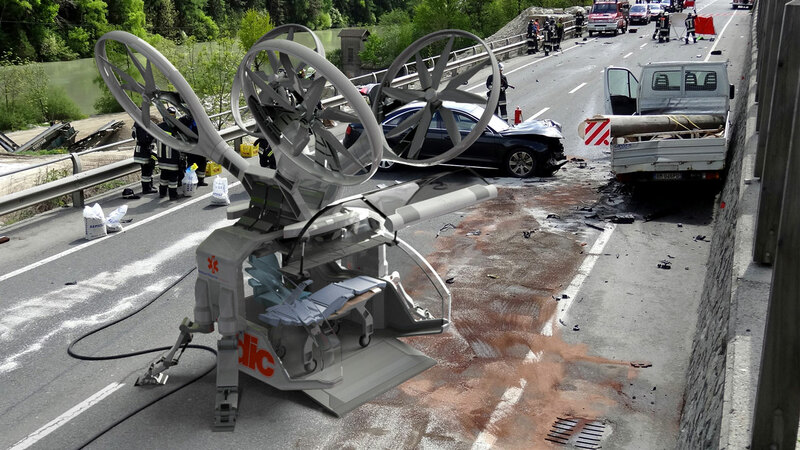 Take for instance this Drone ambulance, done for Fast Company in a very short time. I was able to get there faster because I could use Google Warehouse and Kitbash parts together for concept work, then jump into MoI3D and used my own Kitbashing setup there to finish the model. And… I’m not alone in this type of workflow. 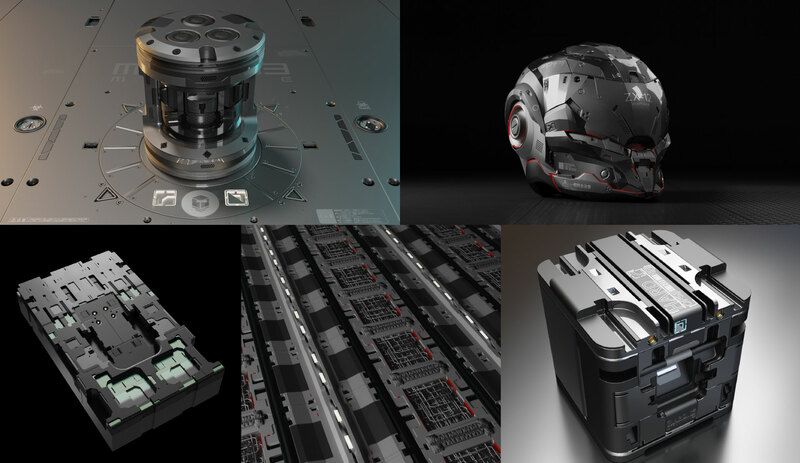 Vitaly Bulgarov turned me on to both Kitbashing and MoI3D after seeing his 10 days of Mechs project. Whew! Stunning stuff! After years of working as a designer, I have my own 80/20 rule and it includes using shortcuts like Kitbashing and inserts to quickly help flesh out a model. 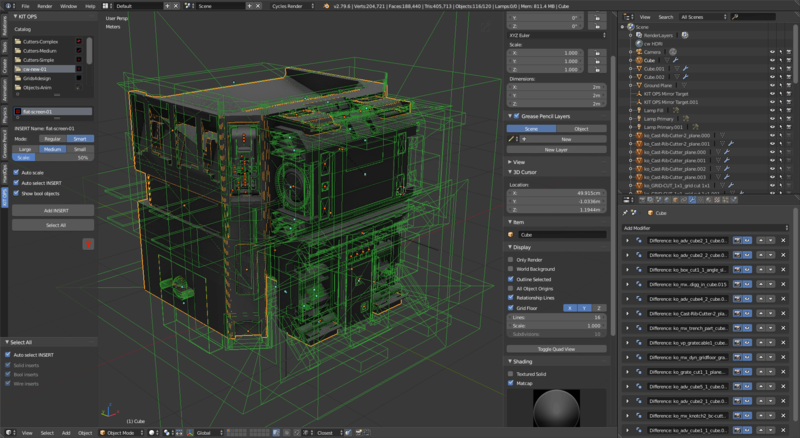 So, I talked masterxeon1001 and one of the best Blender Python developers, proxe, who have both worked on some of the top addons in the industry including Hard Ops, BoxCutter, and others. I asked for their help in creating a fully functioning INSERT tool which could place .blend files, with Boolean modifiers, directly on existing objects. We named it KIT OPS and this is how we describe it. KIT OPS is the systemized application of .blender files, called KIT OPS INSERTS, which can be used to instantly cut and add to existing objects or create standalone objects with the goal of rapidly creating and exploring new designs. When used properly, KIT OPS can create objects and scenes with extreme efficiency and speed. Doors and windows can be inserted and cut through walls. 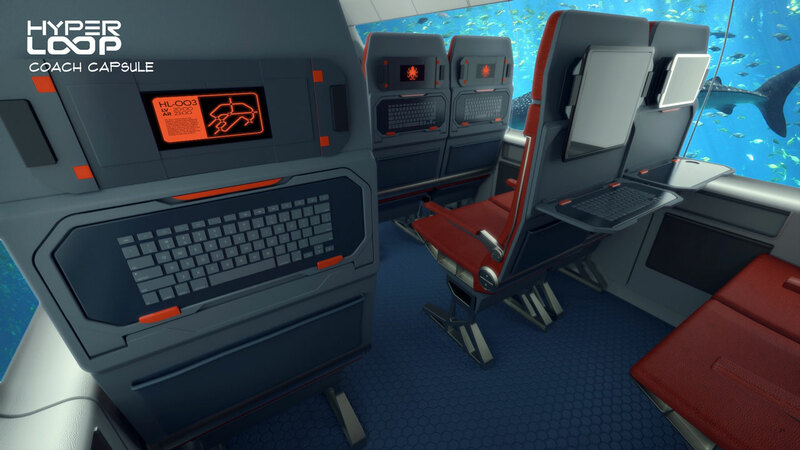 Complex designs can be generated in a single sitting. KIT OPS uses the power of the Blender Modifiers to accomplish all of this. 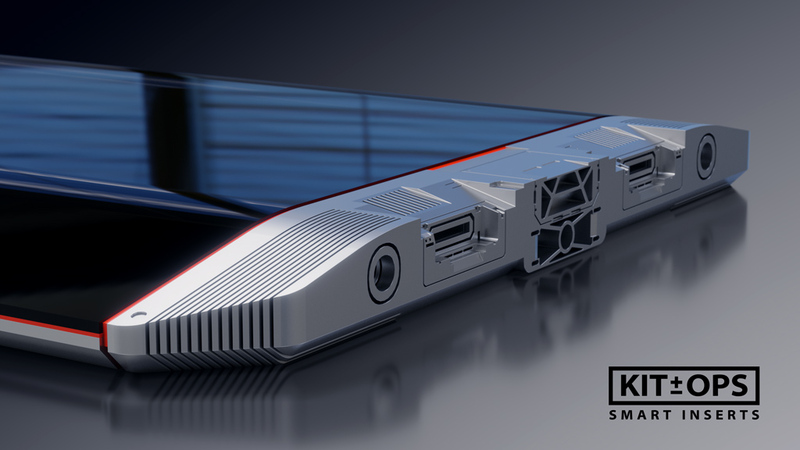 We set as our goal to build a professional level product, which could do things no other INSERT or Asset tool can do. We explicitly wanted it to work in Object mode, so refining and iterating designs could be done quickly and easily. 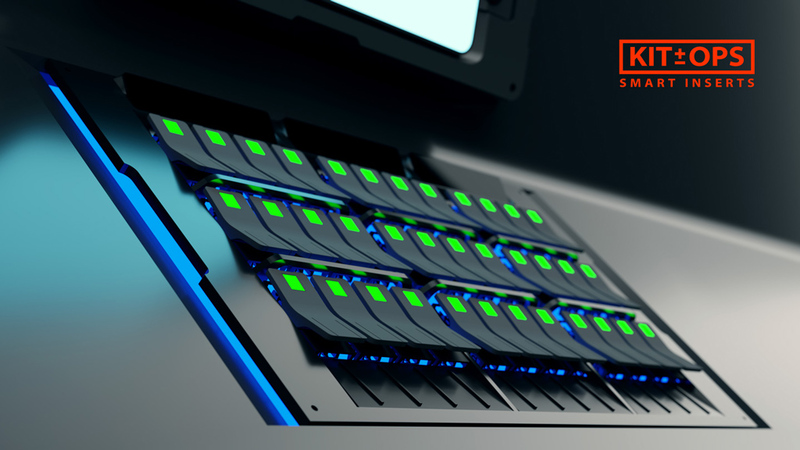 We have tested it with over 200 INSERTS, and have built tools to speed up the editing and adding process when the system slows down due to too many INSERTS. Shown are just a few of the test concepts we worked with during the beta period. Please follow us on Instagram or view our gallery page to see more. Also shown, is the KIT OPS CREATOR Panel, which is where most people will spend their time adding and editing KIT OPS INSERTS onto their objects. We also have a KIT OPS FACTORY Panel, with a totally different interface, to help KIT OPS PRO users create their own INSERTS. The free version of KIT OPS comes with it's own set of documentation, training videos and a basic tech box KPACK of fanstastic INSERTS so you can get started right away. KIT OPS PRO has the same CREATOR documentation, enables all the SMART mode features, and includes the FACTORY Panel for authoring INSERTS. New videos and documentation also comes with KIT OPS PRO. We know this is just the beginning of KIT OPS and the many INSERT KPACKS that will be developed by talented Blender Artists. We will begin working on a 2.8 compatible version as soon as the Blender dev team locks down the API. Stay tuned! What's the difference between KIT OPS, Hard Ops and Boxcutter? They all seem to make the same type of objects. Yes, they do seem similar in that they are all used to create highly detailed Boolean models. Here's a quick rundown of the differences. 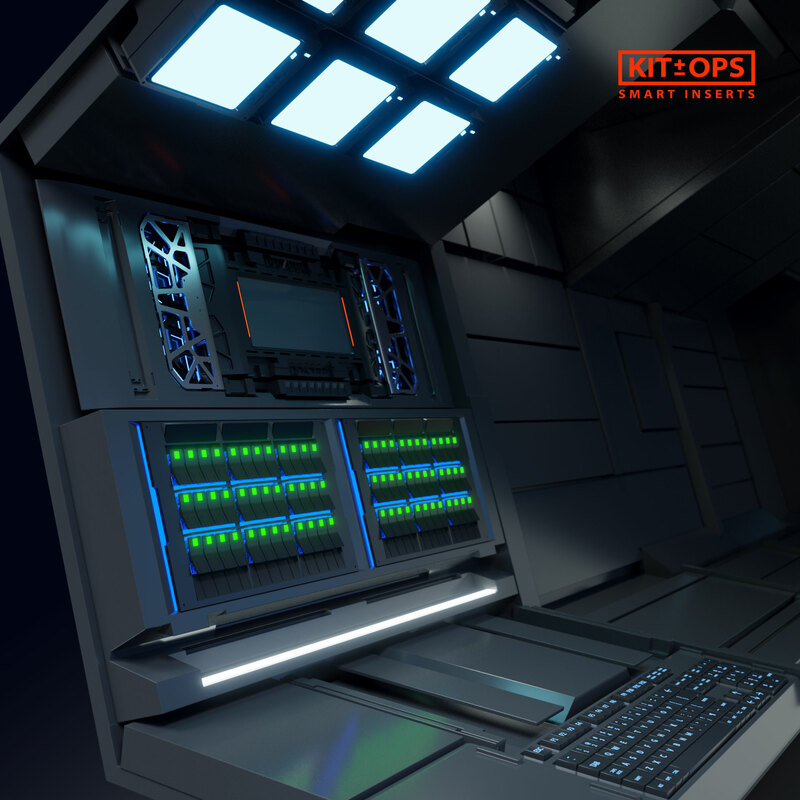 KIT OPS uses KPACKS (folders) of INSERTS (custom Blender files) to modify an existing object. Users drag and drop an INSERT onto an object, then move, rotate, scale, mirror and/or align it. Multiple INSERTS can be added to an object to create complex designs. KIT OPS PRO also has an authoring mode called FACTORY where users can create their own INSERTS and give them away or sell them.